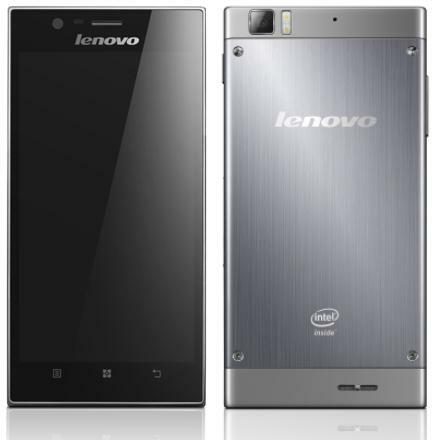 We have been getting word of the existence of an Intel processor based Lenovo smartphone in the past though the company has now announced that the K900 model may be officially released on April 17. The first handset of its kind to run on an Intel chipwork, the smartphone boasts of a full HD touchscreen display with a resolution of 1080p. Even though the display itself fancier than the offering in other standard smartphones in the market at the moment, it should give the device a nice edge being the first Lenovo smartphone ever. Powered by one of the most advanced mobile offerings produced by Intel to date, the smartphone would run on an Atom Z2580 Clover Trail+ chipset by Intel. This would also be the first time that the 2GHz dual-core chipset is featured on a handset which could put the performance of the Lenovo K900 right in the league of existing biggies like the Samsung Galaxy range and the new BlackBerry phones. According to unofficial reports, the smartphone will boast of a 5.5-inch screen and the entire device would measure just 6.9mm thin. The operating system of choice on the phone would be Android 4.2 Jelly Bean. For memory expansion purposes, a microSD memory card slot will be given though the device will have an internal memory of 16GB as well. Running on 2GB RAM, the phone will feature a 13-megapixel rear camera. Even though the company hasn’t yet confirmed it, it seems that the phone has already hit production and the company would release it or announce it at least at its press event on April 17. Pricing details for the Lenovo K900 smartphone are scarce though sources claim that it may be priced at around CNY2,999 that would be approximately USD483 in conversion. New cell phone range from T-mobile? Where can Zozo wallpapers be downloaded?.